MacOS X has a loyal following, even among PC users. While many PC users, especially enthusiasts, would never buy an Apple computer because of the price premium they command and lack of upgradeability it would be hard to find someone that won't admit even a slight affinity for OS X. But unfortunately for PC loving fans of OS X, Apple has ruled out ever officially licensing its operating system to PC vendors. However there is a solution if you want to run OS X on your PC: build a CustoMac. 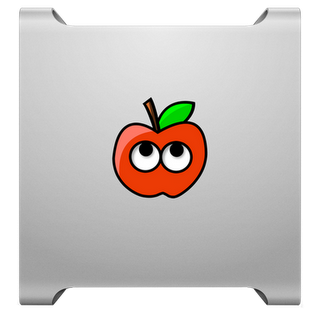 A CustoMac is a PC that the user builds specifically for running OS X. TonyMacx86 is one of the largest communities on the web dedicated to building CustoMacs. Recently we covered their guide on how to turn a GIGABYTE Brix-S into a CustoMac-mini. Of course not all PC hardware is compatible with OS X, so TonyMacx86 has put together an extensive guide to show you what you need to build your very own CustoMac. If you have an interest in running OS X on your PC, head on over to to TonyMac x86 now to check out the guide. You'll notice that GIGABYTE motherboards are extensively supported!